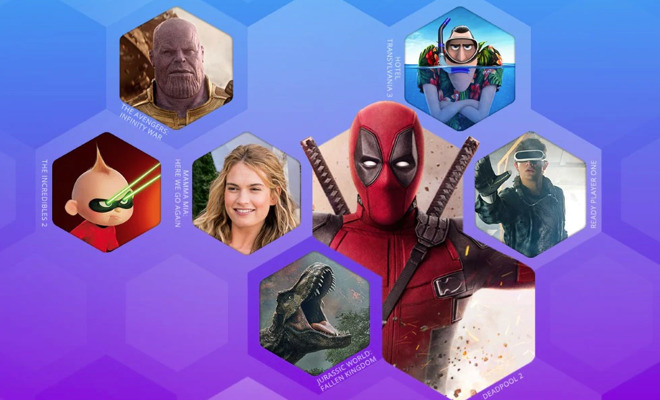 Microsoft has become the latest movie storefront to join Disney's Movies Anywhere, allowing for video content bought from online storefronts like iTunes and Amazon to be watched via Microsoft Movies & TV apps for the Xbox One game console and Windows desktops. Confirmed by Microsoft, the support for Movies Anywhere allows users with a Microsoft Account to link it to Movies Anywhere. Once linked, all of the movies already available through Movies Anywhere will be accessible by Microsoft's apps, while video content bought from Microsoft's digital storefront will be available to watch from the other digital retailers. Revamped in October, Disney's Movies Anywhere is a multi-platform content locker designed for storing movies produced by Disney, Sony Pictures Entertainment, Universal Pictures, Twentieth Century Fox, and Warner Bros. Once linked, qualifying films bought from participating retailers, including Amazon Video, Google Play, iTunes, and Vudu, can be viewed from any of the other retailer's video platforms, or via the standalone Movies Anywhere app. The service also works with purchases of physical discs, with many Blu-ray and DVD releases including codes for digital copies of the films. The addition of Microsoft to the retailer roster means users will be able to buy films from its store for Windows and the Xbox game consoles, and have them viewable on other platforms, including iOS using iTunes and various set-top boxes. It also works in reverse, with films bought from iTunes and other stores able to be watched via Microsoft's ecosystem. According to the Microsoft webpage for the service, movie rentals and TV shows are not currently eligible for use on Movies Anywhere. Movies bought via an Xbox 360, Windows Phone, or a Windows device running an older operating system than Windows 10 may experience a 24-hour delay for related content to appear in their Movies Anywhere account. Currently, Movies Anywhere is only available in the United States.